Nothing matters more to your quality of sleep than a good, supportive mattress. Fancy Homes helps you get the most from your slumber with a range of spinal support mattresses in the firmness you need. 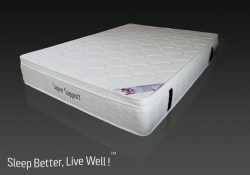 Buy a mattress online and give your back the support it needs to help you feel rested all day long. 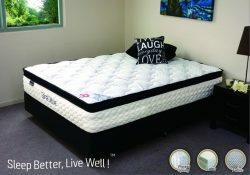 When you buy a spinal support mattress online from Fancy Homes, you always get the best value. Choose from medium, firm, or plush models for hundreds below the retail price. When it comes to the quality of mattress you sleep on, you never want to settle for less than top quality. With our selection of mattresses, you don’t have to compromise on quality for affordability. Include a spinal support mattress in your online bed order and get everything you need for a stylish and comfortable bedroom. Our mattresses come in double, king, and queen sizes to make the perfect companion for any bed you choose. Our firm support mattresses offer just the right amount of support without being too hard. 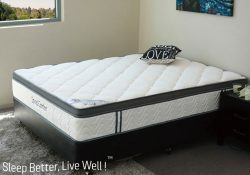 Features like the eurotop and foam edge support help give you the best support and the luxurious comfort that comes from a well-designed mattress. Some main features of our mattresses include superior support level, premium stretch knit fabric, and sanitising treatment to keep your sleep space clean and healthy. 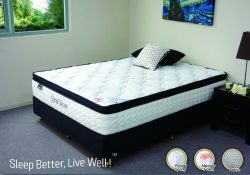 Buy your perfect mattress online today and start sleeping better and living well! 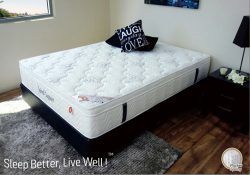 Our website makes finding the perfect mattress easy with your phone or computer with fast shipping for all metro Sydney and Melbourne suburbs. You also have the option to take more time to buy with a 30% deposit on your order!